The Islamic understanding of aesthetics is in close relationship with its comprehension of truth. Faith can be manifested in aesthetics and the traditional Islamic artistic works are concrete examples of this fact. The epistemological endeavor of Islamic art is to reach the invisible behind the visible and its practical aim is to beautify the life. With reference to this point, the book consists of five chapters. The first chapter mainly focuses on the three main principles, under three sections, of Islamic aesthetics. In this sense, the principle of unity is considered in relation with the Islamic creed of Tawhid (oneness) and the principle of i‘tidal (balance) is discussed with reference to the Islamic understanding of ihsan (beautification). As the last principle, the book emphasizes the role of the Qur’anic language and semantics in Islamic art and aesthetics. The second chapter reflects on the concepts of beauty and aesthetic experience and accordingly focuses on the relationship of the experience of beauty with goodness, knowledge, the understanding of truth and the experience of faith (or mystical experience). The third chapter discusses the metaphysical and theological dimensions of Islamic art as well as the subject of aesthetic argument and indirectly the concept of teleological argument. 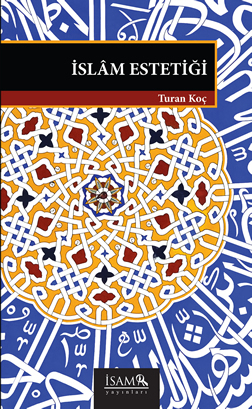 The fourth chapter focuses more elaborately on the concept of ihsan and its manifestations in Islamic arts. The fifth chapter considers the relationship of painting with Islamic art as regards the latter’s aniconic character. In general the book asserts the close relationship between Islamic aesthetics/art and religious values, and in that respect emphasizes that Islamic art is an important manifestation of Muslim civilization.